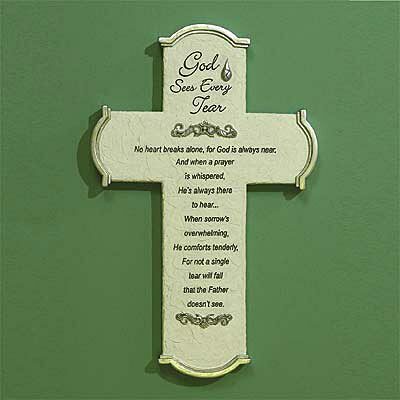 Wall cross is crafted of resin and comes ready to hang. Includes a gift card. Black gift box. Cross, 6 3/4 x 10 1/2.